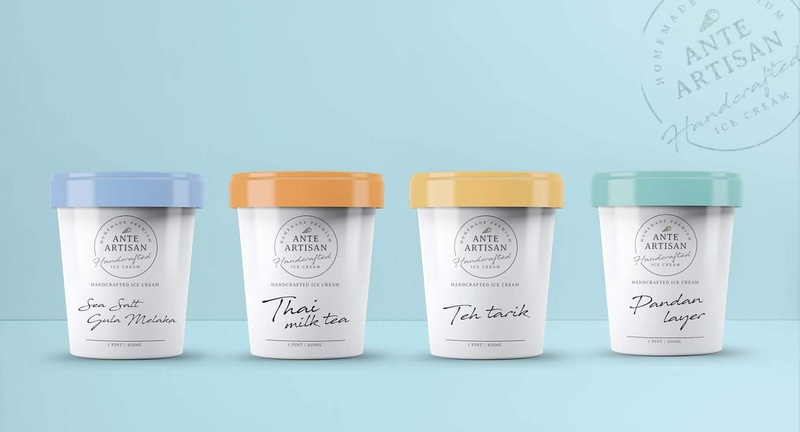 Ante Artisan was created to tailor to customisable flavours in the local scene of Johor Bahru, Malaysia. 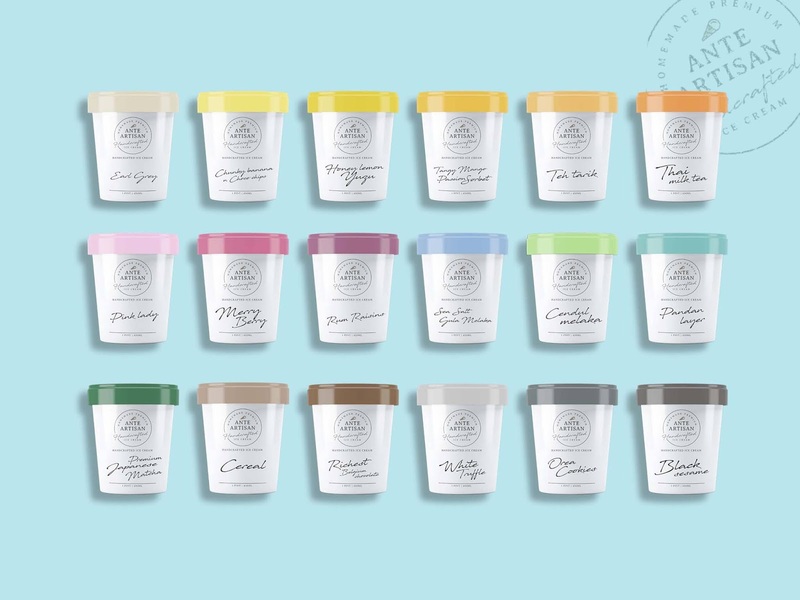 Our homemade ice cream offers unique flavours that suit local tastebuds. 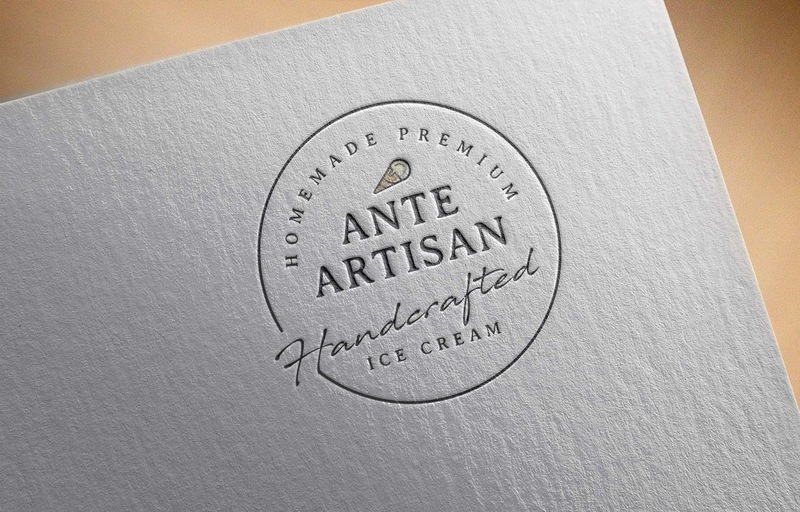 Ante Artisan uses natural ingredients that will come across as exclusive and premium. However, consumers will be surprised at its price range as it is relatively cheap compared to other choices in the market. 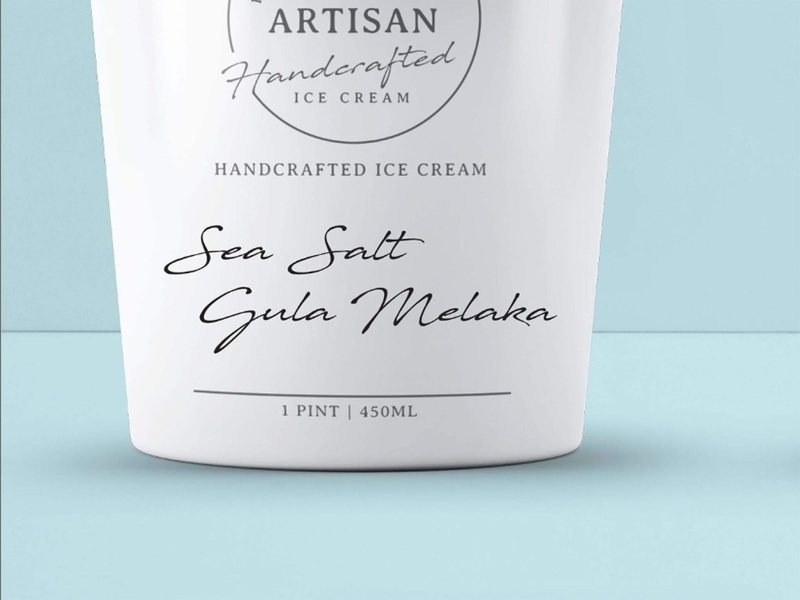 Based on a "Less is More" idea to bring out a handcrafted & premium experience with a budget control, we created a general layout on packaging and left space for Ante Artisan's 22 flavours. 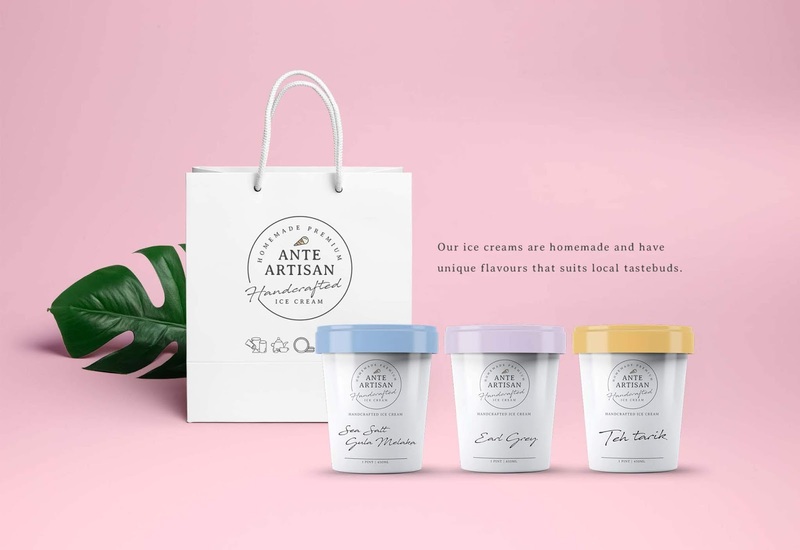 We chose soft colours for simplicity and to allow consumers to feel a closer relationship with us. 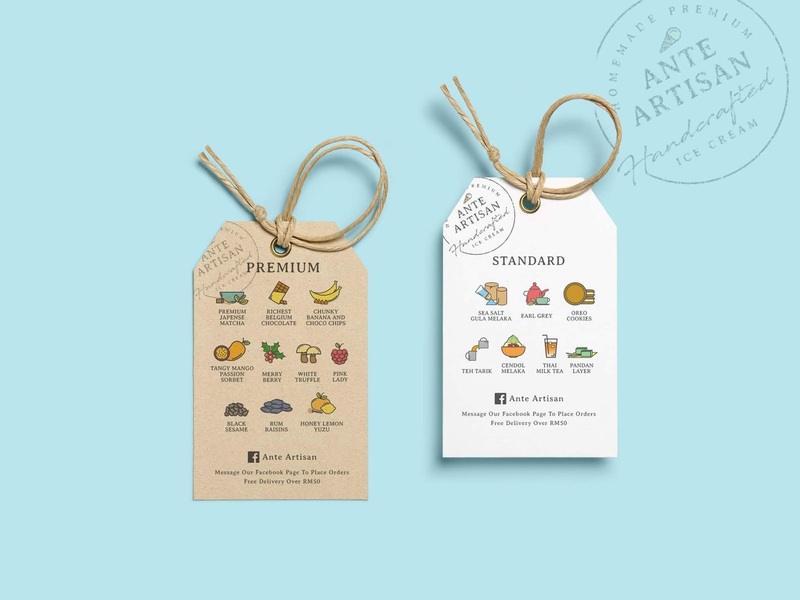 This packaging is flexible to fill in any new flavours with handwritten to emphasise homemade feelings.